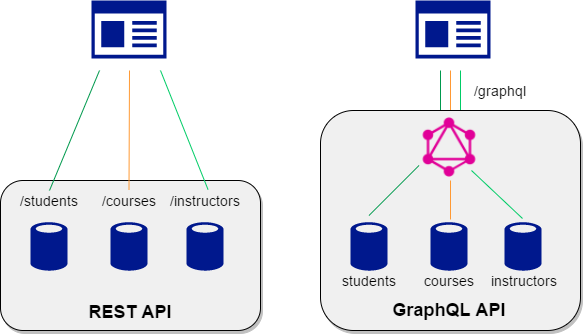 The main purpose of this article is to explain how the Windows Team is querying a GraphQL API without using any GraphQL SDK. We will try to give you insights on the philosophy we are using to query our endpoint. In this part, we will see how we setup our project and how we can do a simple HTTP query for GraphQL. In part II, we will see how to create a query with variables and how to incorporate mutations. As you probably know, GraphQL is an open source data query and manipulation language, that was developed by Facebook. Firstly, some context: back in 2016 as part of a global product and infrastructure overhaul, our Engineering Team decided that the brand-new API they were working on would only run on GraphQL. My colleagues working on the Web, iOS and Android platforms are using the Apollo GraphQL client which is great. However, for the Windows platform (UWP/C#) no client exists and as I didn’t want to spend time recreating the full Apollo SDK, we had to look for some alternative options. After some internal debate we decided to NOT create a GraphQL Client and focus more on a philosophy around how to do the data calls. 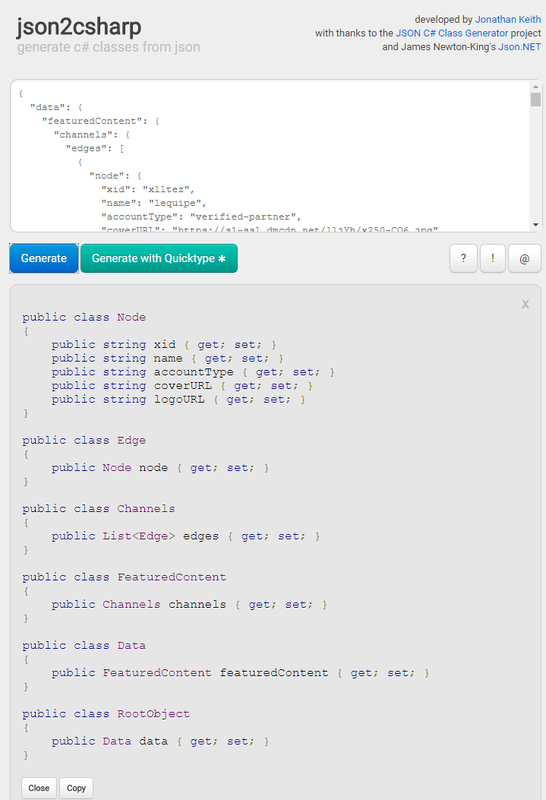 First we need to create our GraphQL query. Internally we use a flavor of GraphiQL which is an in-browser IDE for exploring GraphQL which works great and gets the job done. Let’s save this query as MyChannelsCall.txt under a folder named GraphQLFiles that is in the root directory of your UWP project. This we will save in our UWP project under the folder Models. We can now use the RootObject class to deserialize the content response that we will received from our HTTP call. How do we query GraphQL ? Now that we have our GraphQL query and model, we need to be able to query our GraphQL API endpoint. /// Base class for requests. From the RequestBase all of our other request queries will inherit from this class. Depending on what type of queries we are doing we will always have to override the ParamsToCall property. When you init this class the callid needs to be the location of where your GraphQL file is. In our case the GraphQL queries are located in a folder named GraphQLFiles. On UWP to access a locally stored file you will need to use the URI scheme “ms-appx:” on which you can find more information here on msdn. Using the MakeRequest method we will be able to query our GraphQL endpoint and retrieve our data. This concludes the first part of our article on the philosophy that we are using here at dailymotion for the Windows(UWP) project to querying our GraphQL API endpoint. In the second article we will look at how to pass variables (which can allow us to fetch the next set of content for example)and how to do mutations (create a review for an episode)on GraphQL. Thanks to Julie Lambert and dailymotion.